Bunratty lies between Shannon Airport and Limerick City. It is famous for its castle and folk park. For a small village, there is a lot to see and you could easily spend your day there. If you’re pressed on time, you can squeeze your visit into a few hours but you might miss out on the laid-back atmosphere of the village. Just outside of the castle is the Creamery, a restaurant/bar that serves traditional bacon and cabbage. The portion size was quite generous and it was pretty reasonably priced. 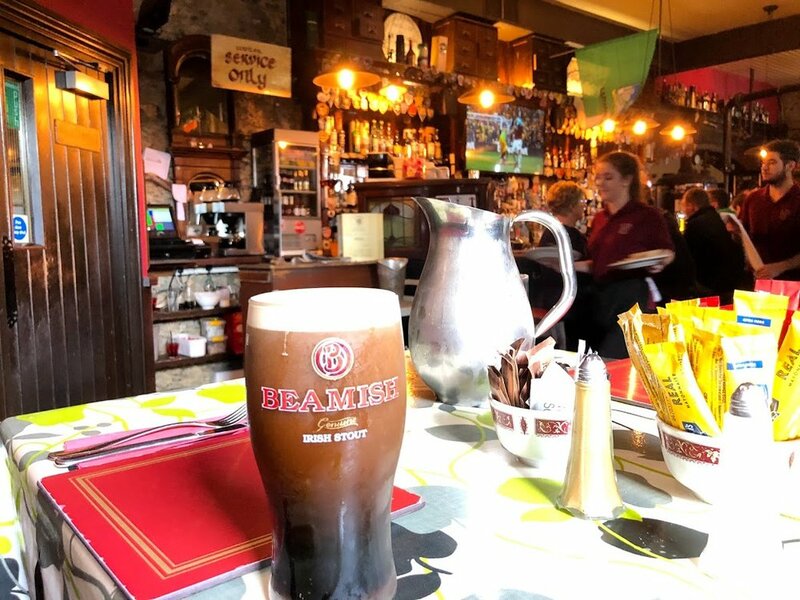 They also serve an Irish stout, Beamish, from Cork. Entry into the Bunratty Castle and Folk Park is from 9am-5:30pm, however the castle itself closes at 4pm. There are medieval banquets held each night in the castle and they need time to prepare. It took us about 40 minutes to explore the castle, but you may want to plan to give yourself about an hour in case of crowds. Many of the stairways in the castle are very narrow and you’ll have to wait to go up or down between other groups that are exploring. Make sure to go to the top of at least one of the towers as the view is spectacular. The Folk Park is quite large and has many sections. We spent a couple hours wandering the paths and exploring the historical houses and mini village complete with a schoolhouse and post office. It would have been easy to wander around for an additional couple of hours and even visit the tea house or pub if we had more time. 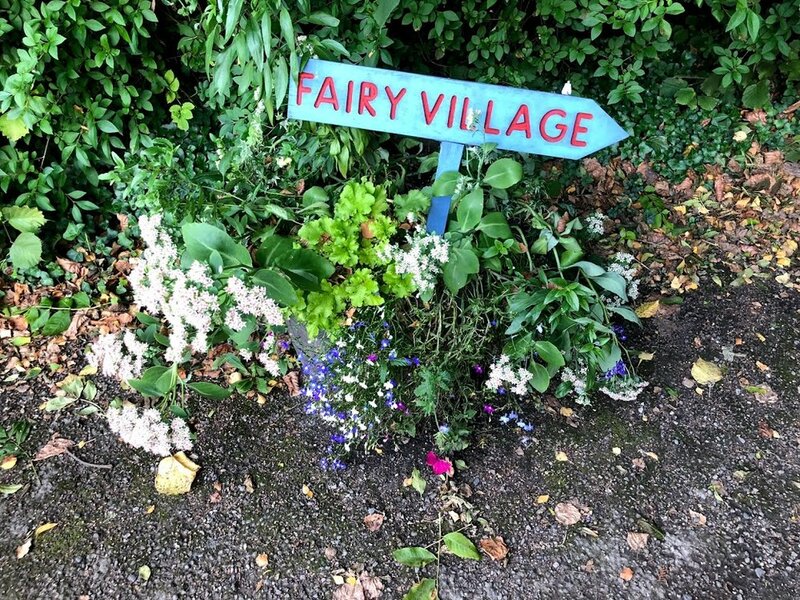 There is also a delightful fairy village where the young (and young-at-heart) can hunt for hidden fairy dwellings among the trees. Fairy houses with names and descriptions of the fairies that live there can also be found next to the nearby pond. 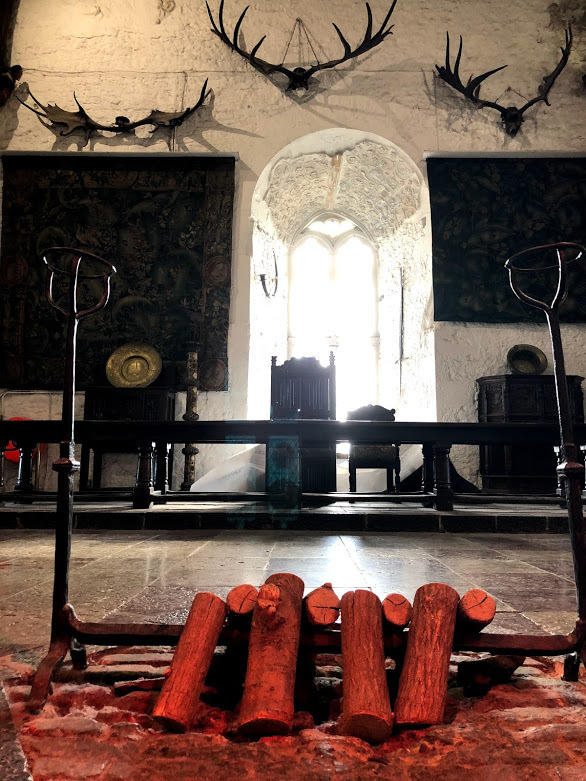 While the houses and buildings near the castle have been brought in from other areas in Ireland to create the folk park, the Bunratty house and Walled Garden were part of the original surrounding area. 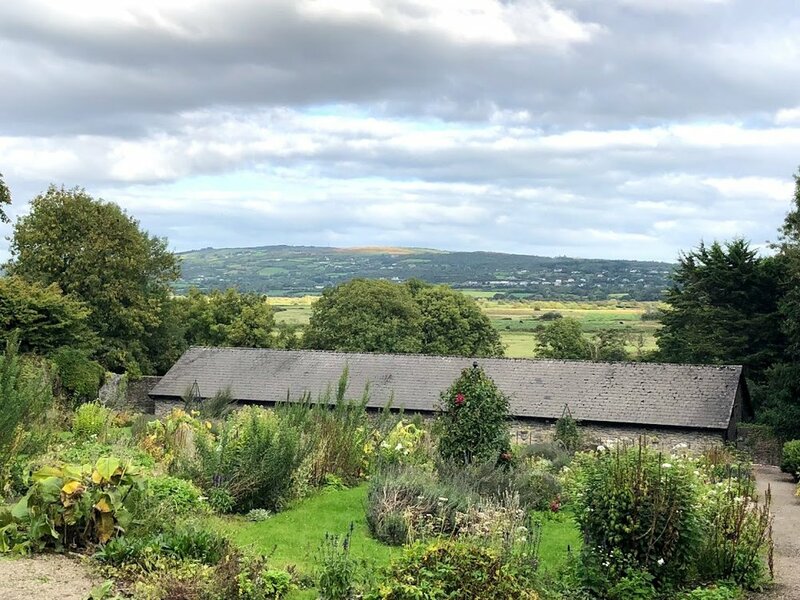 Due to its elevation and location on an incline, the Walled Garden has a wonderful view that stretches across the nearby valley. If you’re near Shannon, we would definitely recommend spending a day in Bunratty! We weren’t really sure what to expect when we went, and we almost skipped it. But we’re so glad we made the stop and explored, and would enjoy going again.